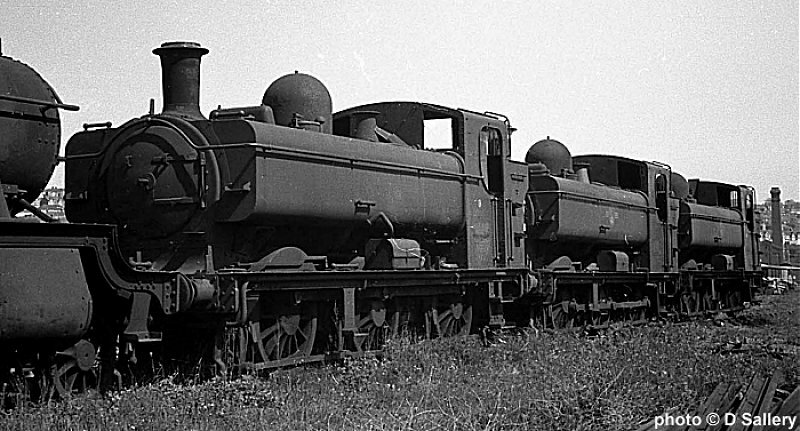 Awaiting their fate were these three pannier tanks - 9681, 4612 and 3738. Class 56xx 0-6-2 tank no. 6634. A total of 200 of these powerful tank engines were built from 1924 onwards. 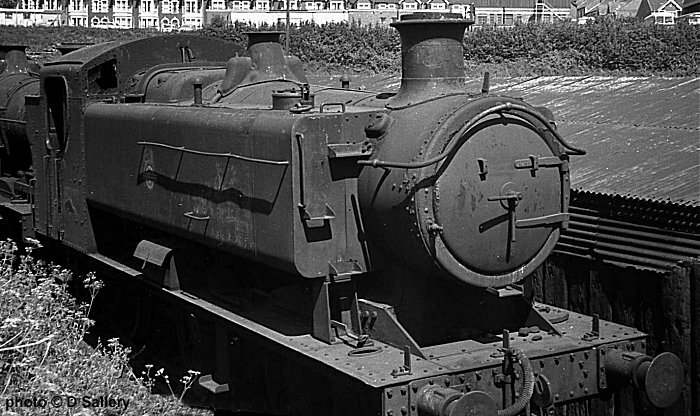 They were mainly used in the South Wales valleys on coal trains and were also frequently seen on local passenger trains. 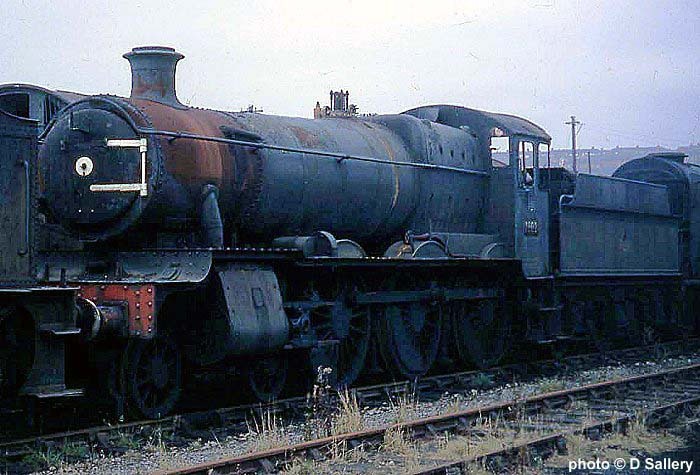 Churchward 2-6-0 No. 5322. The first of these engines appeared in 1911. They were mainly used on branch or secondary main lines and were equally at home on goods or passenger trains. The later built version with side window cab - No. 7325. Built from 1932 onwards. 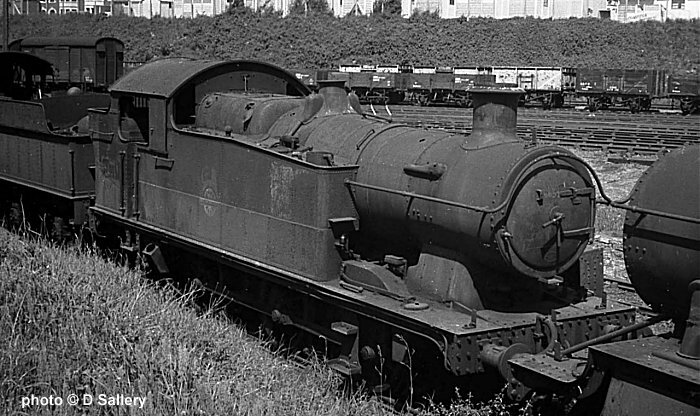 Manor class 4-6-0 No. 7802 "Bradley Manor". 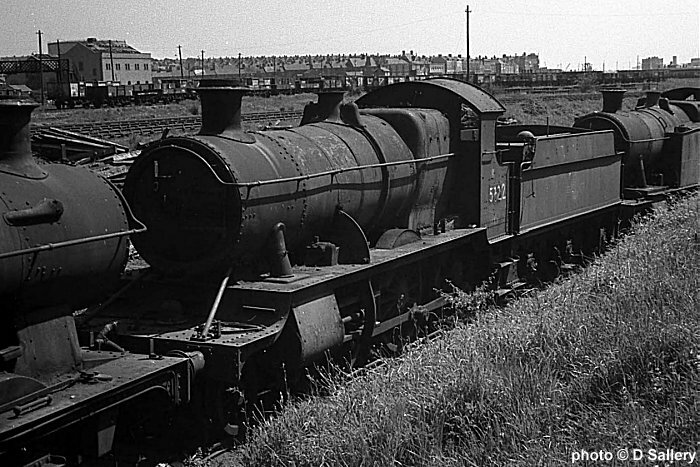 The Manors were the smallest of the GWR 4-6-0's and saw extensive use in Mid Wales. Now preserved on the Severn Valley Railway. The final development of the classic pannier tank were these Hawksworth designed locos built from 1947 onwards. 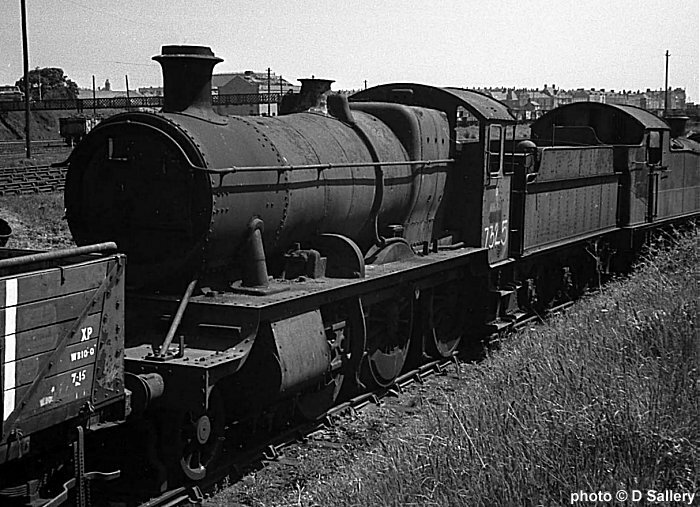 Over 200 were built but most had a very short life as their shunting duties were the first to be dieselised. This is No. 9466 and the loco has since been preserved.